For everything, there is a market. A market for children’s toys, a market for kitchenware a market for outdoor enthusiasts and a market for video gamers, just to name a few. Every market is created by a group of people who will pay for the products or things being offered. It may sound strange, but these days, there’s a greater market than ever before for orphaned children in third-world countries. And with more than one million U.S. families trying to adopt each year, it’s a market that human traffickers have taken notice of. As someone who feels like God placed international adoption on my heart from a young age, it’s easy to understand why so many Americans, and really people all over the globe in developed countries, would open their families and lives to children in need. Adoption isn’t just giving the child a better life, it’s giving a family a better life. The family paid $15,000 to European Adoption Consultants (EAC). The agency, which is based in Strongsville, Ohio, has arranged thousands of adoptions, and matched the family with a 5-year-old girl, who they called Mata. It’s a new form of human trafficking, in which parents are told their child will be temporarily sent away for a better education with the promise of a later return. 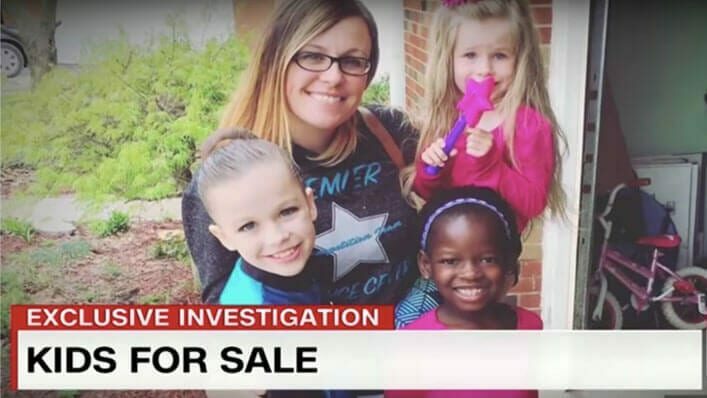 Mata’s stories led the Davises to question their adoption agency, as well as their own involvement with what they believed to be human trafficking. Through research, and the help of REUNITE UGANDA, Jessica was able to track down Mata’s mother. The organization arranged a Skype call between the two, and Mata pressed for answers. Why did her mother give her away? Jessica and Adam now faced a difficult moral decision. They agreed on the latter. There are thousands of children in the world who desperately need a loving forever home. The market for orphans in third-world countries has a direct line back to the United States with over one million families trying to adopt each year. That means, we don’t stop from fear of scam, but we press on, knowing how to be smart in our pursuit of adopting a child through a legitimate and reputable agency.